Pandit Chhannulal Mishra is a leading vocalist of the Benaras Gayaki and of Kirana Gharana. A receipient of various honours and awards which include the Uttar Pradesh Sangeet Natak Akademi, Naushad and the Bihar Sangeet Shiromani awards. 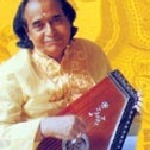 He is widely recognised for his authentic and lyrical renderings of khayal, thumri, bhajan, dadra, kajri and chaiti.